Home » Five Things » Chelsea Cain: Five Films from my youth. Chelsea Cain: Five Films from my youth. 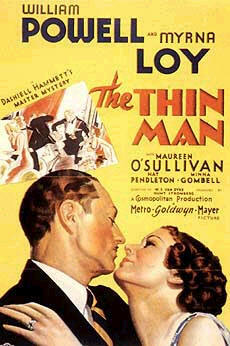 The Thin Man movies. Snappy dialog. Myrna Loy’s posture. A well-trained canine thespian. Plus, Nick and Nora Charles were so elegant and dry-witted and clever. This was probably the beginning of my life-long goal to stumble across a corpse. People were always keeling over in those movies – it didn’t seem fair. These days I like to check in with Nick and Nora now and again because no matter how much I am I drinking, they drink much, much more. Cabaret. I don’t know when I saw Cabaret for the first time, but my husband is sure I was too young. I thought that Sally Bowles was so glamorous. I used to practice that little backwards wave she does to Michael York’s character at the train station. My mother bought me a ticket to see Liza Minnelli on tour when I was 10 and I went by myself. Afterwards, as Liza made her way from the stage door, I dove at her like a terrier and managed to touch the arm of her sweatshirt. That was one of the best moments of my life for a very long time. Nashville. I could watch this movie a hundred times, and it may take that many viewings to puzzle out all the dialog. I grew up listening to the soundtrack on vinyl. If you haven’t seen it yet, and you enjoy seventies cinema (bellbottoms, nihilism, inscrutable subtext, politics, and an Elliott Gould cameo), you should be very excited. Jaws 3D. The original Jaws is still one of my favorite movies, but I have to admit Jaws 3D holds a special place in my heart. I saw it on the big screen at the Panama City, Florida, mall multiplex. The 3D was blurry–I could barely make out what was happening. But I loved every minute of it. Come on? A 35-foot shark on the loose at Sea World? And I have always had a soft spot for Bess Armstrong (shout out to High Road to China). I showed Jaws 3D on VHS at my 12th birthday party. This was slightly more appropriate than the movie I showed at my 13th birthday, which was The Fog. CHELSEA CAIN’s first five novels featuring Archie Sheridan were all New York Times bestsellers. Also the author of Confessions of a Teen Sleuth, a parody based on the life of Nancy Drew, and several nonfiction titles, she was born in Iowa, raised in Bellingham, Washington, and now lives in Portland, Oregon. 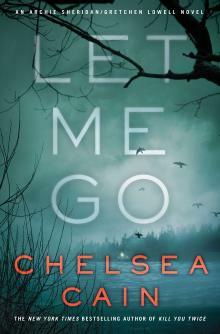 LET ME GO, the latest in the Archie Sheridan series, was just released. I don’t know that I can recall meeting another person that liked the Flash Gordon film.